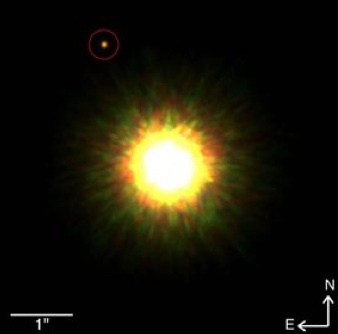 Canadian astronomers discover the world’s smallest planet! According to the scale bar, the planet is only 1/10 of 1 inch in diameter. I wonder if Paul Davies has begun scouring its 50 square mm surface for signs of intelligent life? Posted on July 2, 2010 July 2, 2010 Author thefatcontrollerCategories UncategorizedTags Astronomy4 Comments on Canadian astronomers discover the world’s smallest planet!